CareCheckers: Daily Reassurance Calls for Seniors, for Everyone! Your daily call, from a friend.|Your medication reminder.|Your well-being check.|Your wake-up call.|Your activity reminder.|Your peace of mind. Live-person, daily reassurance calls. Created with seniors in mind. Medication and activity reminders. Friendly conversation. Feel secure checking-in with someone each day. Simply call, email or text us to let us know you are okay. If we don't hear from you, we will alert your contacts. Check out our plans and pricing. Plans are fully customizable and very affordable - like, less than your daily cup of coffee. 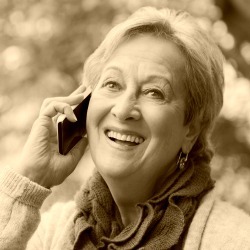 Care Calls, by CareCheckers, are daily reassurance calls for seniors and people of all ages. Care Calls can be used for medication, meal and activity reminders or just to check-in and provide some friendly conversation. For seniors living on their own, without regular interaction from family members, they are often left feeling alone and neglected. Our service is designed to make them feel secure in knowing that they will always have a caring friend they can talk to - and someone who will check on them regularly to ensure their well-being. Care Calls are made by live representatives, located in the United States. Our standard plans start at only $29.95 per month - making our service an affordable alternative or supplement to other care options. 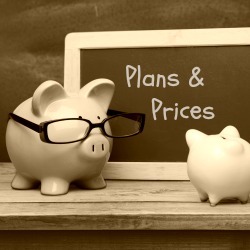 Plans can be customized to suit just about any need - and budget. Check out our standard plans and custom plan creator. There are no contracts or commitments, you may cancel at any time. Our Monitored Check-In service was designed for those who do not wish to talk, do not require any reminders, but simply want the security of checking-in with someone each day. This service allows you to text, email or call our toll-free number and leave a brief check-in message to let us know you are okay. Messages are monitored (by an actual person) as they come in. We perform a final check each day at 6PM eastern time. If we do not receive your check-in message by that time, we will attempt to contact you. If we fail to reach you, we will notify your contacts (don't worry, we will make every effort to reach you before alarming your contacts). You can provide as many contacts as you'd like, along with a specific set of instructions for us to follow. Monitored Check-In service costs $14.95 per month for one call, text, or email per day, seven days per week. We offer a variety of plans to suit just about any need and budget. Our starter plan includes one call per day - Monday through Friday - and costs only $29.95 per month. Our most popular plan includes one call per day - seven days per week - and costs $49.95 per month. You can even create a custom plan by giving us a call at 1 (888) 477-0435. So, our standard plans aren't quite right for your needs? Maybe you just want to be called one or two days per week? No problem! You can create a custom plan selecting only the days you wish to be called, and the number of calls you need for each day. Give us a call at 1 (888) 477-0435 to get started. Our Monitored Check-In plan is priced at only $14.95 per month. You may call our toll-free number (or email us) and leave your check-in message once per day, seven days per week. CareCheckers has been in business since 2009 - making daily calls to people all over the country. Prior to launching CareCheckers, we've had nearly a decade of experience in caring for seniors - starting with members of our own family. Want to learn more about how CareCheckers got started? Click here to read our story. We love our clients as if they are members of our own family. We promise to treat every client with respect and compassion. We also value the privacy of our clients. Any information provided to us with is kept strictly confidential. CareCheckers gives at least 2% of profits to non-profit organizations that assist seniors. Want to brighten up someone's day and earn some extra money? Check out our employment page to see if there are any openings available. Interested in promoting our services and earning a recurring monthly commission for every client you refer? Join our affiliate program!